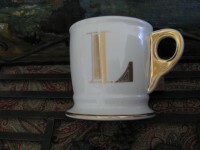 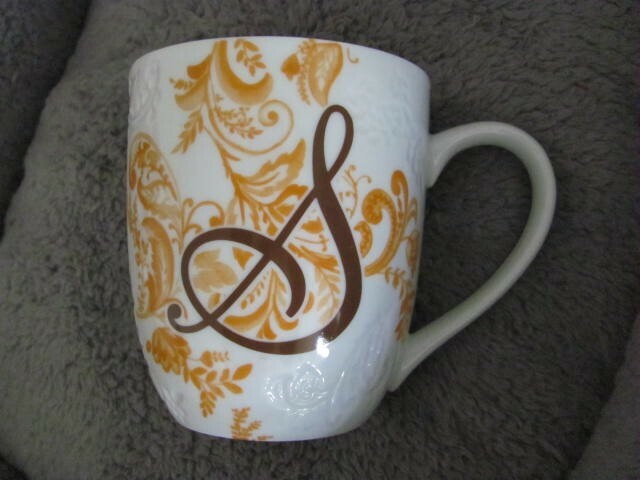 Pier 1 AVA Orangel mug with "S" monogram. 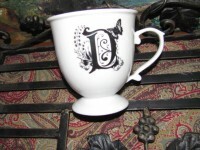 The Brown monogram is surrounded with ferns and flowers in tangerine orange over the embossed ferns and flowered porcelain. 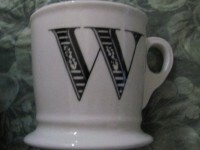 Really a lovely and sturdy mug..
Base logo of Pier 1 Imports has pattern name of Ava and states this to be dishwasher, microwave safe. 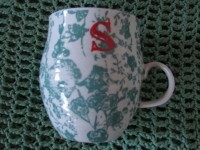 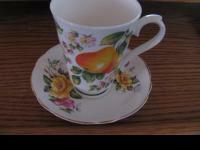 Cup is 4.25" tall x 3.75" top diameter, holds up to 13 oz. 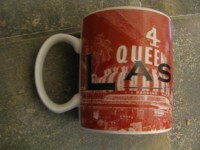 Excellent condition, no signs of use! 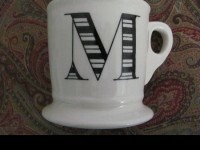 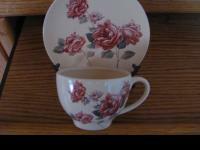 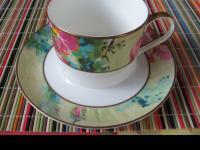 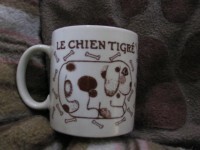 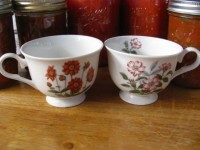 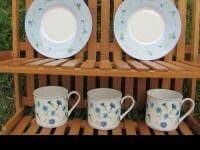 Check out my other mugs!